In 1997, the Cassini-Huygens mission to Saturn and Titan took off from a launchpad on Florida’s Space Coast. Notable as a joint effort between NASA and European counterparts, Cassini-Huygens also stood out for a piece of its payload: 73 pounds of plutonium-238 to fuel the orbiter and companion moon lander. That volatile package prompted worries about what would happen if the rocket carrying it aloft were to malfunction and explode in the Earth’s atmosphere. Florida music fans may note in that same year, in the nearby space hamlet of Gainesville, brothers Whit and Sander Travisano, along with David Lebleu and Tom Reno, launched The Mercury Program into the vacuum of indie music — also with no guarantee of success. Cassini-Huygens, thankfully, got off the ground intact and went about its nuclear-powered work for almost a decade longer than the space agencies had planned, sending back reams of new data and poster-worthy photos right up until its dramatic swan-song plunge into Saturn’s atmosphere last year. Amazingly, The Mercury Program has lasted even longer, and shows no signs of pre-scheduled atmospheric burn-up. It’s quite a run given the life expectancy of bands and the potential for radioactive fallout among people operating in the cramped quarters of creative work — i.e. tour buses and recording studios. 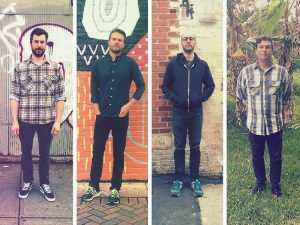 Tuned into punk movements that stretched from Gainesville to South Florida, The Mercury Programs’s four were also channeling what they heard from kindred scenes in Washington, D.C. and Chicago. The result over time would be a heavy, tough-as-nails variation on genre — ambient post-rock psych-jazz, in the collective nomenclature of Program fans and observers. The band’s self-titled 1999 debut and the 2000 follow-up, “From the Vapor of Gasoline,” with their sparse approach to vocals, were, in hindsight, steps in an evolution. The album that secured their reputation and clarified their sound was 2002’s “A Data Learn the Language” on Tiger Style Records. Acclaim for the record begat tours and more tours, which took their toll. After a 2003 split release, “Confines of Heat,” The Mercury Program’s recorded output stopped for six years. Almost: Whit, the sibling on keyboards, is in Minneapolis. Sander, the sibling on bass, is in New York City. Reno and drummer Lebleu live in Gainesville. Lebleu is part of The Album Leaf ambient music project with Jimmy LaValle of Tristeza and recently finished a record with Sander as Private Beaches. Reno notes the band has operated in bursts since the “Data” record. The album “Chez Viking” arrived in 2009 and well after that, in 2016, came the “New Myths” EP. 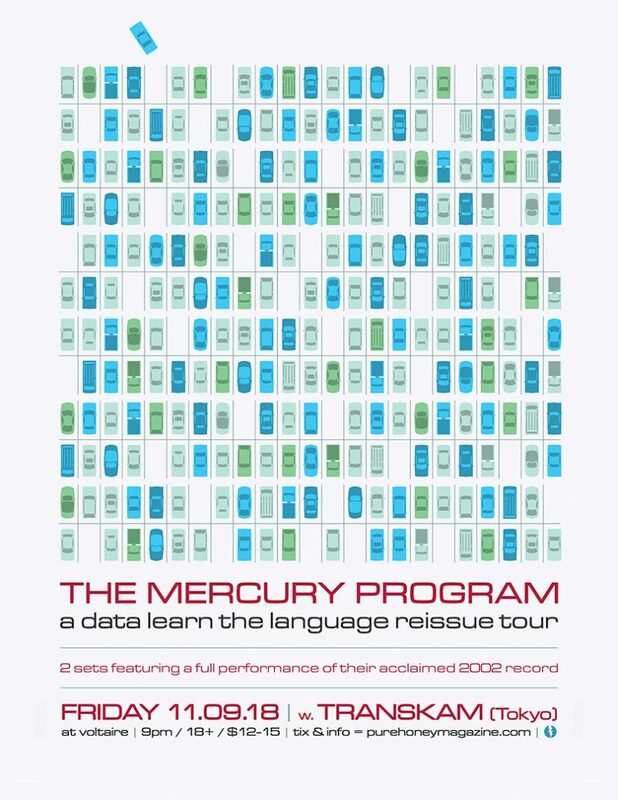 It’s a testament to the connection between band and fans that over two decades-plus, with a discography you could tuck under one arm, The Mercury Program is as relevant as ever. A short East Coast tour in November will consist of two sets a night: the first comprised of “Chez Viking” and “New Myths”; the second devoted to “A Data Learn the Language.” On November 2, Lovitt Records will issue a double-LP reissue of the latter, long out of print in vinyl. Think of theirs as a mission that has thrived beyond all expectations. The Mercury Program still has fuel in reserve to keep doing what it does, with few restrictions on time and space, and with new discoveries still to be made. ADVANCE TICKETS HERE! Early show with reunions by Remember the Ocean and One Dog’s Opinion!